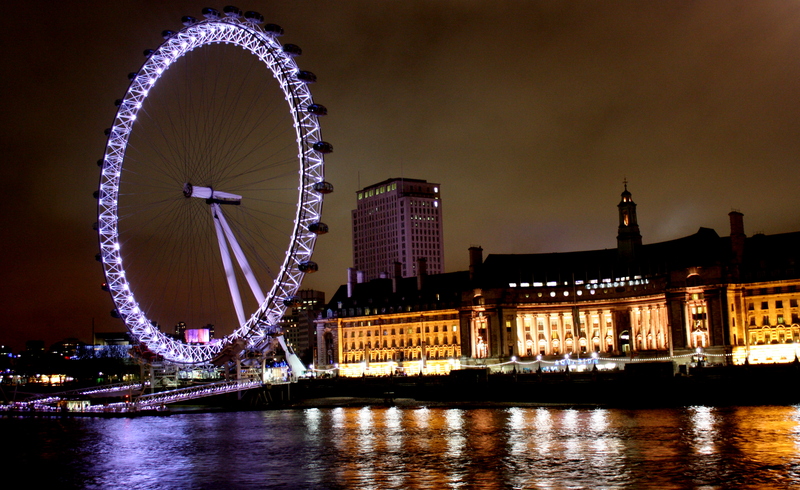 The London Eye at night. Oh, I finally started a facebook page for my photography. It is under my real name, toying with the idea of linking it in this blog – but still undecided. Those who know me are most welcome to look it up! Panoramic Image of the London Eye taken on New years eve, 2009.